"11:15 a.m. [16:15 GMT] Secretary Pompeo participates in the 10th Ministerial Meeting of Lima Group in Ottawa, Canada via video conference, from the Department of State", the Public Schedule of the US Department of State read. The top diplomats of the Lima Group will come together at the 10th ministerial meeting in Ottawa, Canada, on Monday to address the ongoing crisis in Venezuela. Canadian Foreign Minister Chrystia Freeland said on 28 January that the participants of an urgent Lima Group meeting would discuss what steps they could take "to support interim President Juan Guaido and the people of Venezuela". On 23 January, Guaido, the head of the Venezuelan opposition-led National Assembly, proclaimed himself the country’s interim president. 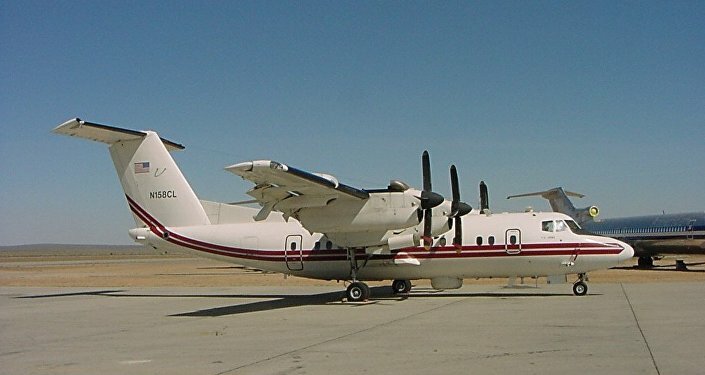 The move was supported by the United States and a number of other countries. 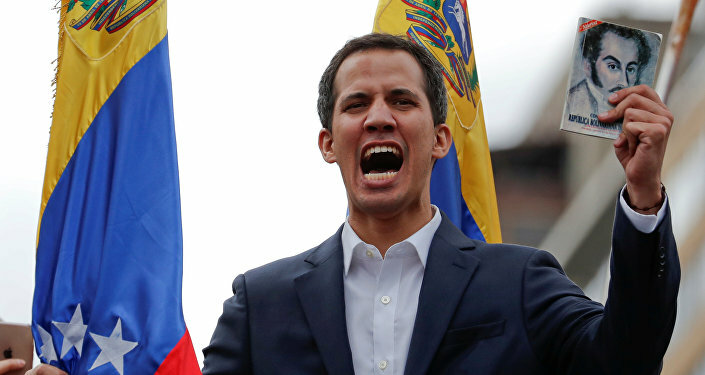 The European Parliament also adopted a resolution recognizing Guaido as Venezuela’s interim president. Russia, China, Mexico, Iran, Turkey and several other states backed constitutionally elected Maduro as Venezuela's only president. Venezuelan President Nicolas Maduro has slammed Guaido’s move calling him a "puppet" of Washington. Guaido announced Tuesday he would appoint diplomatic representatives in a number of countries, including the United States, Canada, Argentina, Colombia, Panama, Costa Rica, Ecuador, Chile, Honduras, Peru, and the Lima Group. The countries listed by Guaido are all those recognizing him as the interim president of Venezuela. On Monday, the United States accepted Guaido's designation of Carlos Alfredo Vecchio as the charge d'affaires of the Venezuelan government in the United States. 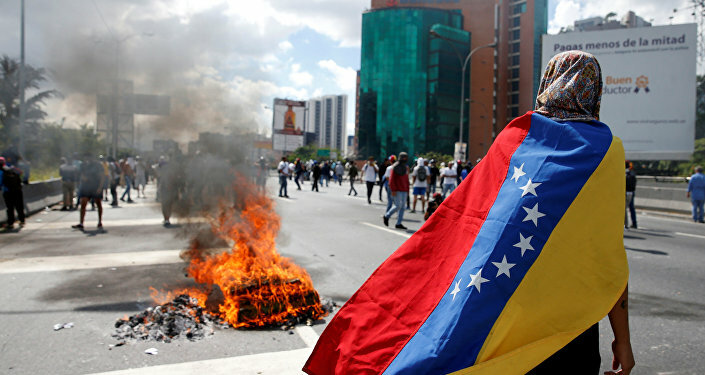 Opposition envoy to the Lima Group Julio Borges told Sputnik on Wednesday that the Lima Group of countries would like to establish contact with Russia and China to discuss the crisis in Venezuela. Borges also stressed that Venezuela’s opposition is aware that the United States has a military option for the country but would like to see a peaceful transition of power. Borges’ comments echoed Peruvian Foreign Minister Nestor Popolizio statements on Wednesday. Popolizio said that the Lima Group does not support any military intervention in Venezuela. US President Donald Trump reiterated on Sunday that US military action in Venezuela was an option. US National Security Adviser John Bolton said on Friday the United States had no plans for an imminent military intervention in Venezuela, but all options remain on the table. Bolton added that the Trump administration had a range of economic and political measures for Venezuela. On 28 January, the United States blocked all of PDVSA's assets in its jurisdiction and imposed a ban on making deals with the company. US Treasury Secretary Steven Mnuchin said that by blocking PDVSA's assets, the United States was taking care of this company in the interests of the people of Venezuela and also protecting its own market. Incumbent Venezuelan leader Nicolas Maduro said in an interview to Sputnik this week that the United States had thrown its weight behind opposition leader Juan Guaido in the hope of getting its hands on Venezuelan oil reserves. The international community has taken action to settle the crisis. Particularly, the European Union initiated the establishment of a temporary International Contact group to normalize the situation and lead Venezuela to the presidential election. Moreover, Mexico and Uruguay have called an international conference on the Venezuelan crisis, while the Lima Group agreed to gather in Canada for discussing the situation.